Everybody was so excited about SNL‘s worst kept secret: they were auditioning black women to join the cast. And yesterday, news broke that the coveted position went to Sasheer Zamata. We’ll see her first on the return episode of SNL on January 18th, featuring Drake as the host and musical guest (the melanin will be overflowin’!). With that announcement, people thought it was the second coming of the Civil Rights Movement. Now we get to drink from the SNL water fountain and pee in the SNL toilet too. We are “breaking barriers” and “entering uncharted territory”. Please. It ain’t that serious. Is this newsworthy? Sure. More diversity on TV is always great to see, and the Maya Rudolph Memorial Slot has been vacant for about 6 years. And OK, I admit, I was a bit excited too. I am an SNL watcher. In all of my bourgie blackness, I want to keep watching the show. But with each episode, I am increasingly finding myself outside of the target demographic. Sketch after sketch just seems more and more catered toward viewers with a lighter hue (“peach” colored people as my six-year-old would say). The best entertainment depicts images that you can relate to, and with the creative direction the show has been going in, I oftentimes find myself lost and lamenting staying up to watch a show that is losing its funny. But maybe, just maybe, a new black cast member could turn all of that around. Right? Let’s all cut the “I Have A Dream” BS. 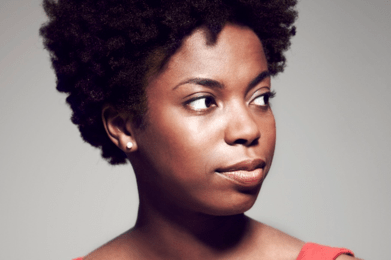 Sasheer Zamata is no messiah, leading us into the land of equality. Like just about every other SNL cast member, Zamata is an alum of the Upright Citizen’s Brigade. And it is the brand of humor that they cultivate there that has become prevalent on SNL. One glance at her resume, and it is clear that Zamata is really just more of the same. 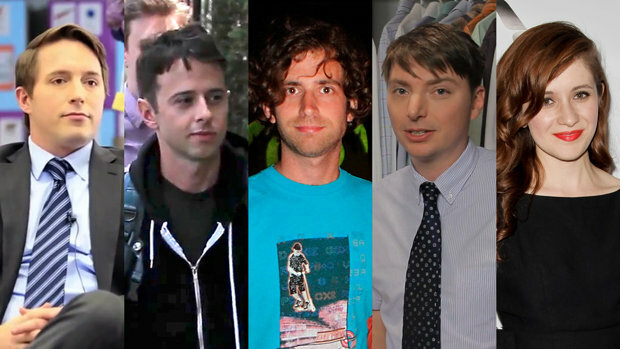 So don’t expect to see any changes to SNL at-large. It’ll be the same type of jokes written by the same writers, only now they have someone who has black skin and real breasts. Don’t get me wrong; she is funny. Just check out this video of her doing some stand-up. With her stage presence and sense of humor, I’m sure she’ll fit into the cast almost seamlessly. SNL will be better for having her as a part of its cast. And you know the show is just waiting for her to play some celebrities. They don’t even need to do anything when it comes to wardrobe, other than dust off Kenan’s wigs and pull out everything Kerry Washington wore when she recently hosted. Here is Zamata taking a stab at a Beyonce parody. Nothing stands out as brilliant here, but the bar is pretty low at SNL. All of that is well and good, but let’s just keep it real. The only reason she even had an audition to go to was because Lorne Michaels had a PR issue to take care of and Kenan refused to wear any more wigs. If the show really thought that diversity was important, its newest cast members wouldn’t look like this. It’s just the reality of life in the entertainment industry. You do what you need to do to make the most money, to make the most people happy to patronize you. And when you cast a show like this, what each cast member brings to the table is more important than talent. When Michaels signed off on this mix of newbies, he clearly believed that he had brought on who he needed to fill out the cast during this “building year.” He could have cast pretty much any up-and-coming comic in the nation, and he chose these five. That alone speaks volumes about how Michaels sees his show. What will the writers do now that they are getting a black female to work with? Let the speculation begin. But if I were a betting man, I’d say that she will fall right in line with what Kenan Thompson and Jay Pharoah already do on the show. The vast majority of their work falls into parodying black celebrities. That is , of course, the laziest use of any black actor. She’ll likely play Beyoncé to Jay Pharoah’s Jay-Z. Maybe she’ll take Kenan’s spot as Whoopi on the view. Oprah or “hood rat” parts may be on the docket too. And you just know a Scandal skit can’t be far away. That is the real news and the real travesty in her casting. More than likely, she’ll find it difficult to really showcase her talent. Without an act of God, she’ll be relegated to “stand in black woman” status, not doing anything original or unique to her. So in getting this really big break for her career, she’ll have to play a stereotype, ironically limiting her career potential. Just by holding this “black women only” audition process, Lorne Michaels proved that he was mainly seeing these actresses and comediennes for their skin color. And if that is the main qualifier in his eyes, I don’t see their usefulness falling too far out of that range.